Cruise across the Timor Sea to unlock the hidden treasures of Indonesia and Australia's North West with Silversea Expeditions 12 day voyage. Departing from Benoa, Bali on 28 March 2015, Silver Discoverer embarks on an inspiring expedition through the mysterious islands of Indonesia. Silver Discoverer stops at various islands including Sumba, where guests explore traditional villages and experience ancient rituals, and Komodo, home to the incredible Pink Beach, enabling guests to snorkel or dive with exotic sea life in their natural habitat. The final port of call in Indonesia is Savu, where guests will experience a traditional welcome by villagers. Beginning her journey to Australia's north western corner, Silver Discoverer crosses the Timor Sea, providing guests with the opportunity to enjoy a day of leisure, indulging in Silversea's tantalising cuisines and luxurious amenities. Arriving at Wyndham, the gateway to the mesmerising World Heritage Listed Bungle Bungle mountain range, guests enjoy an inclusive aerial flight over this stunning natural geological phenomenon, witnessing the unique earthy striped rock formations. 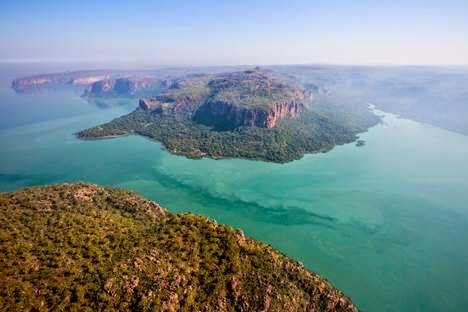 Continuing south for six days, Silver Discoverer's journey becomes a true expedition as the Captain navigates through the wild and wondrous Kimberley region. Guests have the opportunity to sight the astounding submerged world of the Montgomery Reef, encounter the ancient Aboriginal mythology and distinctive rock art paintings of Jar Island, explore the narrow weaving waterways hugged by untamed wilderness and stand amidst the breathtaking yet thunderous waterfalls at King George River and Falls. Silver Discoverer concludes her journey in Broome with guests disembarking on 9 April 2015. Prices are per person starting from AU$11,250 in an Explorer Suite double occupancy. Silversea Expeditions' fares include: all shore and Zodiac excursions hosted by an expedition leader; all-suite accommodation with butler service; gourmet meals with menus inspired by Relais & Châteaux; complimentary wines, Champagne and spirits served throughout the ships; and all gratuities.